For the 40th time in franchise history, the Medicine Hat Tigers will advance to the WHL Playoffs. The Tigers finished the regular season in fourth place in the Central Division with a 35-27-4-2 record. 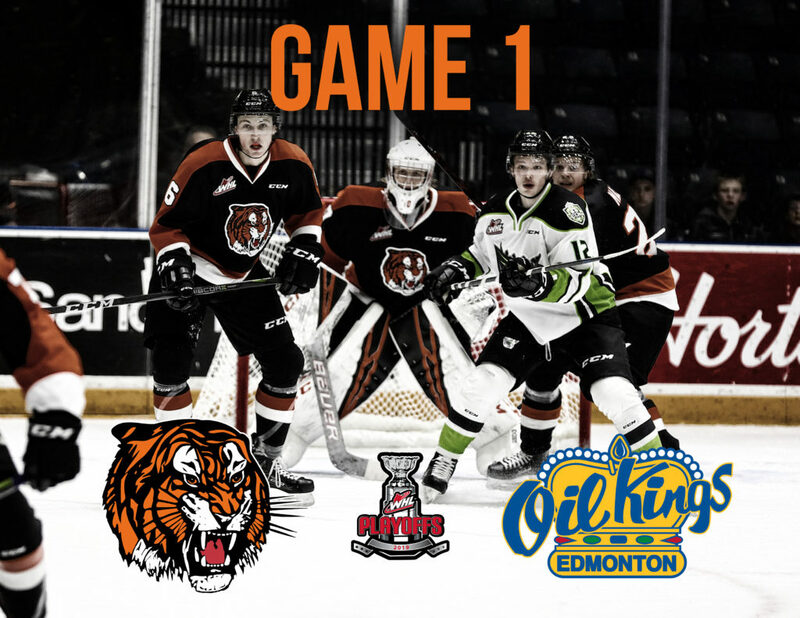 The last time the Tabbies finished fourth in the division was the 2012-13 season where they fell in the Eastern Conference Semi-Final Series to the Oil Kings. During the regular season, the Orange and Black were led by veteran forwards James Hamblin with 77 points (33G, 44A) and Ryan Jevne with 68 points (32G, 36A). The Edmonton Oil Kings finished first in the Central Division for the first time since the 2013-14 season and for the fourth time in their franchise history. The Oil Kings finished the regular season with a 42-18-4-4 record and their captain Trey Fix-Wolansky led the team with 102 points (37G, 65A). Dylan MacPherson is a hard-working shut down defenceman in his third season with the Orange and Black. The 20-year-old Redcliff product is a calm, steady presence on the Tigers’ young blueline. MacPherson is a smart player and a great skater with a terrific first step. Look for him to make an impact on both ends of the ice in tonight’s contest. Captain James Hamblin was drafted by the Tigers in the first round of the 2014 bantam draft and since then he has suited up for 261 regular season games, scored 79 goals and picked up 113 assists. The 19-year-old Edmonton product also has 5 points (2G, 3A) in 11 games played during the 2017 WHL playoffs. Hamblin is a hard-working, speedy two-way forward who will look to create scoring lanes in tonight’s tilt.